Here is my another post about preparing for Java Interviews, this time we will take a look at 40 core Java questions from telephonic round of Java Programming interviews. Phone interviews are usually the first step to screen candidate after selecting his resume. Since it's easy to call a candidate than to schedule a face-to-face interview, book rooms and arrange for a meeting, telephonic round of interviews are quite popular now days. There were days only one telephonic round of interview was enough but nowadays, it's almost two and three round of phone interview with different team members. 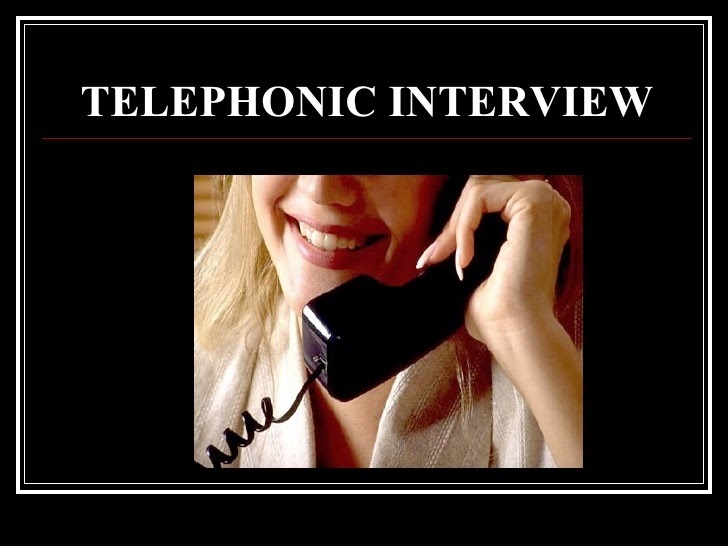 Key to success in telephonic interview is to the point and concise answer. Since Interviewer wants to cover lot of things on telephonic round, they appreciate to the point answer instead of blah blah and dragging answer for sake of time. Always remember, its your time to make impression also so make sure you have good phone, fully charged and use voice modulation technique to be as clear as possible. Even if you don't know the answer, think a loud, interviewer appreciate ability to think and some time that proves to be decisive as well. Here is my list of 40 core Java-based questions which frequently appear on telephonic round of Interview. These questions touch-based of important core java concepts e.g. String, Thread basics, multi-threading, inter thread communication, Java Collection framework, Serialization, Object-oriented programming concepts and Exception handling. If you have faced couple of Java interviews, you will sure have seen some of these questions already. I have provided just enough answer for the sake of telephonic interview, but if you want to know more, you can always check the detailed answer link. Difference comes from the fact that you can only extend one class in Java, which means if you extend Thread class you lose your opportunity to extend another class, on the other hand if you implement Runnable, you can still extend another class. Runnable was the only way to implement a task in Java which can be executed in parallel before JDK 1.5 adds Callable. Just like Runnable, Callable also defines a single call() method but unlike run() it can return values and throw exceptions. In short, ArrayList is backed by array in Java, while LinkedList is just collection of nodes, similar to linked list data structure. ArrayList also provides random search if you know the index, while LinkedList only allows sequential search. On other hand, adding and removing element from middle is efficient in LinkedList as compared to ArrayList because it only require to modify links and no other element is rearranged. Both wait and notify methods are used for inter thread communication, where wait is used to pause the thread on a condition and notify is used to send notification to waiting threads. Both must be called from synchronized context e.g. synchronized method or block. Though both HashMap and Hashtable are based upon hash table data structure, there are subtle difference between them. HashMap is non synchronized while Hashtable is synchronized and because of that HashMap is faster than Hashtable, as there is no cost of synchronization associated with it. One more minor difference is that HashMap allows a null key but Hashtable doesn't. Though both are sorted collection, TreeSet is essentially a Set data structure which doesn't allow duplicate and TreeMap is an implementation of Map interface. In reality, TreeSet is implemented via a TreeMap, much like how HashSet is implemented using HashMap. Fibonacci series is a series of number on which a number is equal to sum of previous two numbers i.e. f(n) = f(n-1) + f(n-2). This program is used to teach recursion to students but you can also solve it without recursion. Check out the solution for both iterative and recursive solution of this problem. In telephonic interview, this question is not that common but sometime interviewer also wants to check your problem solving skill using such questions. This question is ages old. I have first seen this question way back in 2005 but I am sure its even older than that. Good thing about this problem is that except XOR trick all solution has some flaws, which is used to test whether candidate really knows his stuff or not. Check out the solution for all three possible solution and drawback of each. This is another problem solving question which is very popular in telephonic and screening round. This is a great question to test problem solving skill of candidate, especially if he has not seen this question before. It also has a nice little followup to find the starting of the loop. See the solution for a Java program which finds loop in singly linked. One more question to test problem solving skill of candidate. You wouldn't expect these kind of question in telephonic round of Java interview but these questions have now become norms. All interviewer is looking it for logic, you don't need to write the code but you should be able to think of solution. Serializable is a marker interface with no methods defined it but Externalizable interface has two methods defined on it e.g. readExternal() and writeExternal() which allows you to control the serialization process. Serializable uses default serialization process which can be very slow for some application. transient keyword is used in Serialization while volatile is used in multi-threading. If you want to exclude a variable from serialization process then mark that variable transient. Similar to static variable, transient variables are not serialized. On the other hand, volatile variables are signal to compiler that multiple threads are interested on this variable and it shouldn't reorder its access. volatile variable also follows happens-before relationship, which means any write happens before any read in volatile variable. You can also make non atomic access of double and long variable atomic using volatile. From Java 8 onwards difference between abstract class and interface in Java has minimized, now even interface can have implementation in terms of default and static method. BTW, in Java you can still extend just one class but can extend multiple inheritance. Abstract class is used to provide default implementation with just something left to customize, while interface is used heavily in API to define contract of a class. Between association, composition and aggregation, composition is strongest. If part can exists without whole than relationship between two class is known as aggregation but if part cannot exists without whole than relationship between two class is known as composition. Between Inheritance and composition, later provides more flexible design. Main difference between FileInputStream and FileReader is that former is used to read binary data while later is used to read text data, which means later also consider character encoding while converting bytes to text in Java. Bytes are converted to character or text data using character encoding. When you read binary data from a file or network endpoint, you provide a character encoding to convert those bytes to equivalent character. Incorrect choice of character encoding may alter meaning of message by interpreting it differently. Yes, you can use return statement in finally block, but it will not prevent finally block from being executed. BTW, if you also used return statement in try block then return value from finally block with override whatever is returned from try block. No, you cannot override static method in Java because they are resolved at compile time rather than runtime. Though you can declare and define static method of same name and signature in child class, this will hide the static method from parent class, that's why it is also known as method hiding in Java. All four are access modifier in Java but only private, public and protected are modifier keyword. There is no keyword for package access, its default in Java. Which means if you don't specify any access modifier than by default that will be accessible inside the same package. Private variables are only accessible in the class they are declared, protected are accessible inside all classes in same package but only on sub class outside package and public variables e.g. method, class or variables are accessible anywhere. This is highest level of access modifier and provide lowest form of encapsulation. - Always name your thread, this will help immensely in debugging. - Always declare variable private and final unless you have good reason. - Provide dependency to method instead they get it by themselves, this will make your code unit testable. This is another coding question test problem solving ability of candidate. Be ready for couple of follow up as well depending upon how you answer this question. Simplest way which comes in mind is to sort the array and then pick the top and bottom element. For a better answer see the solution. Another problem solving question for Java programmers. Key point here is that you need to reverse the array in place, which means you cannot use additional buffer, one or two variable will be fine. Note you cannot use any library code, you need to create your own logic. This is an interesting program for a very junior programmer, right from the college but can sometime puzzle developer with couple of years of experience as well. Most of these developer does very little coding so they found these kind of questions challenging. Here the trick is to get the last digit of the number by using modulus operator (%) and reducing number in each go by using division operator (/). See the solution for how to do that in Java. Another beginners coding problem, good for telephonic interview because you can differentiate a guy who can write program to the guy who can't. It's also good to see if developer is familiar with both recursive and iterative algorithm and pros and cons of each. You can also ask lots of follow up e.g. how to improve performance of algorithm? Since factorial of a number is equal to number multiplied by factorial of previous number, you can cache those value instead of recalculating them, this will impress your interviewer a bit. See the solution for full code example. You might have heard this question before, if calling start() method calls the run() method eventually then why not just call the run() method? Well the difference is, start method also starts a new thread. If you call the run method directly then it will run on same thread not on different thread, which is what original intention would be. A very good question to check if candidate can write inter thread communication code or not. If a guy can write producer consumer solution by hand and point out critical section and how to protect, how to communicate with thread then he is good enough to write and maintain your concurrent Java program. This is the very minimum requirement for a Java developer and that's why I love this question, it also has several solution e.g. by using concurrent collections like blocking queue, by using wait and notify and by using other synchronizers of Java 5 e.g. semaphores. Another simple problem solving question for warm up. In a singly linked list you can only traverse in one direction and if you don't know the size then you cannot write a loop to exactly find out middle element, that is the crux of the problem. One solution is by using two pointers, fast and slow. Slower pointer moves 1 step when faster pointer move to 2 steps, causing slow to point to middle when fast is pointing to end of the list i.e. null. Check out solution for Java code sample. One of the must ask question in Java telephonic interview. If a guy doesn't know about equals() and hashCode() then he is probably not worth pursuing further because its the core of the Java fundamentals. The key point of contract is that if two objects are equal by equals() method then they must have same hashcode, but unequal object can also have same hashcode, which is the cause of collision on hash table based collection e.g HashMap. When you override equals() you must remember to override hashCode() method to keep the contract valid. This question is more to find out how much experience you really have and what is your thinking towards Java API and its design decision. Similar question is why String is immutable in Java? Well, true answer can only be given by Java designers but you can reason something. For example, wait and notify methods are associated with locks which is owned by object not thread, and that's why it make sense to keep those method on java.lang.Object class. See the detailed answer for more discussion and reasoning. HashSet is internally implemented using HashMap in Java and this is what your interviewer wants to hear. He could then quiz you with some common sense based question e.g. how can you use HashMap because its needs two object key and value? what is the value in case of HashSet? Well, in case of HashSet a dummy object is used as value and key objects are the actual element on Set point of view. Since HashMap doesn't allow duplicate key it also follows contract of set data structure to not allow duplicates. See detailed answer for more analysis and explanation. There was time, before Java 1.5 when you only have synchronized collection if you need them in a multi-threaded Java program. Those classes were plagued with several issue most importantly performance because they lock the whole collection or map whenever a thread reads or writes. To address those issue, Java released couple of Concurrent collection classes e.g. ConcurrentHashMap, CopyOnWriteArrayList and BlockingQueue to provide more scalability and performance. Main difference is that Iterator was introduced in place of Enumeration. It also allows you to remove elements from collection while traversing which was not possible with Enumeration. The methods of Iterator e.g. hasNext() and next() are also more concise then corresponding methods in Enumeration e.g. hasMoreElements(). You should always use Iterator in your Java code as Enumeration may get deprecated and removed in future Java release. Another frequently asked question from telephonic round of Java interviews. Though both overloading and overriding are related with methods of same names but they have different characteristics e.g.overloaded methods must have different method signature than original method but overridden method must have same signature. Also, overloaded methods are resolved at compiled time while overridden methods are resolved at runtime. See the detailed answer for more analysis and differences. This is usually asked as follow-up of previous question, static binding is related to overloaded method and dynamic binding is related to overridden method. Method like private, final and static are resolved using static binding at compile time but virtual methods which can be overridden are resolved using dynamic binding at runtime. This is one more basic concept, I expect every Java candidate to know. You will deal with them on every Java project. Several core classes in Java e.g. String, Integer implements Comparable to define their natural sorting order and if you define a value class or a domain object then you should also implement Comparable and define natural ordering of your object. Main difference between these two is that, you could create multiple Comparator to define multiple sorting order based upon different attribute of object. Also, In order to implement Comparable you must have access of the class or code, but you can use Comparator without having source code of class, all you need is the JAR file of particular object. That's why Comparator is very powerful to implement custom sorting order and from Java 8 you can do it even more elegantly, as seen here. You can use Collections.sort() method with reverse Comparator, which can sort elements in the reverse order of their natural order e.g. PATH is an environment variable which points to Java binary which is used to run Java programs. CLASSPATH is another environment variable which points to Java class files or JAR files. If a class is not found in CLASSPATH then Java throws ClassNotFoundException. Checked exception ensures that handling of exception is provided and its verified by compiler also, while for throwing unchecked exception no special provision is needed e.g. throws clause. A method can throw unchecked exception without any throw clause. That's all about 40 Core Java Interview Questions from telephonic round. Don't take a phone interview lightly, its your first chance to impress your perspective employer. Given that you are not seeing your interviewer and just communicating with your voice, its little bit different than face-to-face interview. So always be calm, relaxed and answer questions to the point and precisely, speak slowly and make sure you are not in a place where your sound echoes e.g. on close stair case. Having a good phone, head set and being on good reception area is also very important. I have seen it many times where candidate lost on interview because not able to hear it properly or not able to understand question before answering them. I know some people take telephonic interviews on those secret places but if you do make sure your phone connectivity is enough. Very Nice set of questions and answers. Thanks for sharing!! @Anonymous, thanks. Glad to hear that you find these Java Interview questions helpful. @Anonymous, its good course, you can take it. Very nice collection of questions.. Thanks Javin Paul for publishing this!! These core Java questions are good from freshers point of view but experienced professionals probably face more challenging questions than mentioned here. I love to ask questions from multi-threading, concurrency and JVM internals, GC to check how much a Java developer knows about areas which are tricky. You can use this list to test only basic knowledge of Java for college graduates and junior developer, you need a different list for more senior candidates. @Anonymous, on screening round e.g. phone interviews these types of questions are quite popular which check your breadth of knowledge rather than the depth. Cool stuff & well done.. Thanks @Prankit, glad that you like this core Java Interview Questions from telephonic round. Thank you Soumik, great that this article helped you on interview. I've been in a couple of interviews and all the questions that was there are included in this tutorial. Thank you very much! Thank you Ariel, glad that this article help you to do well on your Java interview. Q26: You can calculate factorial by simple iteration, recursion is just a waste of memory. There is also no room or reason for memorization when calculating factorial. @Anonymous, yes, you can, iterative solution is often better than recursive one except in some cases where you are dealing with recursive data structure like linked list or binary tree. But, what do you do when interviewer will ask for a recursive solution? you should be able to solve the problem by using both iteration and recursion and can explain/convince interviewer which one is better and why? I found a very good book for a quick and detailed check of what might be asked in the interview. I decided to change the firm after couple of years being in one place, so it was good to have all possible questions regarding Java coding in one book. "TOP 30 Java Interview Coding Tasks" by Matthew Urban. Written very concisely and easy to read, with good exercises.